Efficacy Imaging is about the in-vivo quantitation of the efficacy of a therapeutic in a disease model. How that effect is quantitated in 3D space and time is the domain of quantitative in-vivo efficacy imaging. The combination of anatomic with quantitative modalities means that multi-parametric functional imaging is possible. Anatomic changes can be directly correlated with drug levels in target and normal tissues and compared with efficacy and functional biomarkers. Not only can structures and molecules be quantitated in-vivo, but specific cells can be identified and followed. For example, T-cells and stem cells can be tracked to a tumor in immune therapy models or brain striatum in Parkinson’s models. Does your drug produce the desired effect? Let us help you find out. In-vivo efficacy imaging provides greater “longitudinality.” This allows you to obtain a higher level of translationally relevant results with far fewer test subjects. Now that’s a time and cost savings! In addition, recovery phase studies no longer require additional animal cohorts – increasing your ROI of the study. Getting you where you want to be. Tumor model endpoints have long been limited to survival and tumor size of subcutaneous tumors. These endpoints are now regarded as often insufficient or misleading. With imaging orthotopic tumors (brain, breast, prostate) can be followed in-vivo. CT can be used to define tumor size in orthotopic models as well as subcutaneous models and beyond that the vascular structure, perfusion, and permeability can be measured with blood volume contrast agents. These measures can be complemented by ultrasound microbubble analysis of vascular endothelial and tumor markers. Small molecules labeled with C-11 or F-18 make in-vivo PK possible, determining drug concentrations in the tumor. Biologics, antibodies, peptides, and antisence oligonucleotides (ASO) can be directly labeled with a variety of SPECT or PET radionuclides including Tc-99m, In-111, Cu-64, Zr-89. Functional markers of angiogenesis such as VEGFR and integrins can be assessed and in combination with functional markers of brain, heart, liver, and kidney. 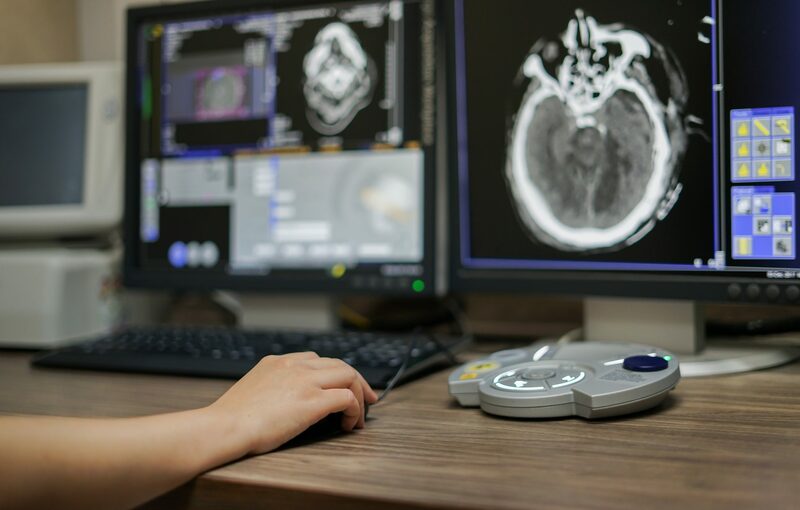 Functional assessments including fCT, fMRI, fSPECT, fPET and fUltrasound are now possible to determine the in vivo safety – toxicology profile. Learn more about our in-vivo efficacy studies.